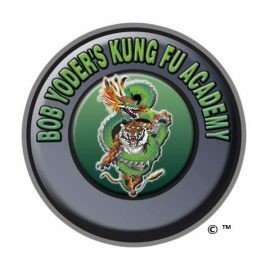 Since 1993, Bob Yoder's Kung Fu Academy has been providing instruction in Kung Fu, Kickboxing and the martial arts in the Grove City, OH area. Tai Shu Do when translated is "The Way of Ultimate Techniques" and it is a fantastic style of martial art for both self defense and physical fitness. Tai Shu Do is a combination of several different styles of martial arts uniquely blended to provide the most realistic combat self defense for the streets. Techniques include but are not limited to empty hand fighting using all forms of striking, punching, kicking, knee strikes, elbow strikes, choke holds, joint locks, throws, pressure points and ground fighting. This complete combination of different styles makes Tai Shu Do one of the most efficient forms of self-defense. Mastery also requires the use of traditional weapons. Modern day training defending oneself against knives, guns and other potential arms are thoroughly trained as well. Tai Shu Do major influences are American & Muay Thai Kickboxing, Kenpo Karate, Aikido, JuJitsu, and Shaolin Iron Tiger Based Kung Fu. There are also many various minor influences. Bob Yoder's Kung Fu Academy is the only marital arts school to feature the 6 taught as 1 program for people of all ages who want the most comprehensive conditioning and self-defense skills available. The numbers are real. Bullying is a huge problem, and Martial Artists can offer the best solution.